The BCCI, along with the new official sponsor OPPO India, have unveiled the new kit of the Indian cricket team. Rahul Johri, CEO of the BCCI, revealed the brand new jersey at an event held at Mumbai’s JW Marriot Sahar hotel. The new jersey has the same layout as the previous one worn by Virat Kohli and his team in the ODI series against England earlier this year, with a dark blue shade on the sides along the arms, and a lighter hue on the chest and back. A thin strip of tricolour runs from the collar to the sides of the arm, with the Nike logo and the BCCI crest on either side. 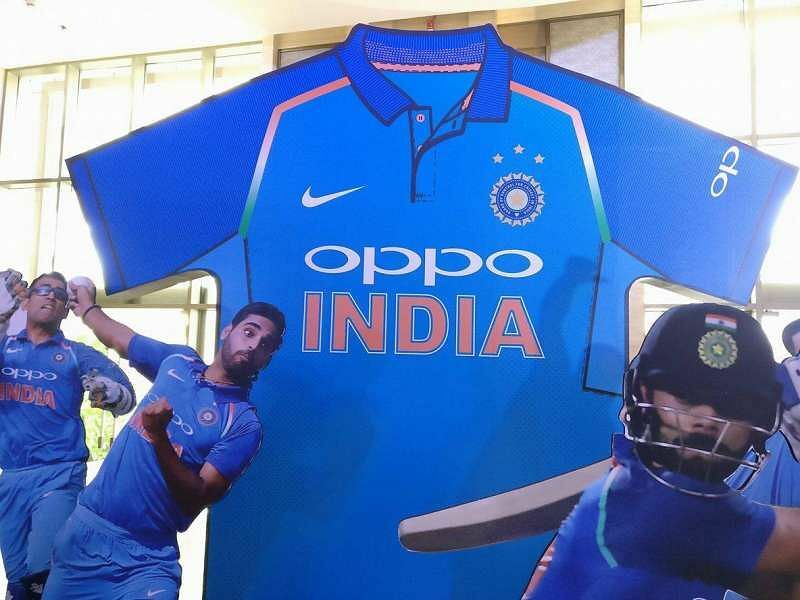 OPPO, who replaced Star India as the official jersey sponsor, will feature in the centre of the blue jersey. 0 Komentar untuk "BCCI and OPPO unveil official new Team India jersey"